Branding is crucial for an organization's survival and growth. It is even more imperative for the first impressions of an organization's web/mobile app or social media channels. Providing a consistent customer experience across multiple channels is crucial to enhance the relationship between the brand and its customers. Delivering an exceptional customer experience is a challenge as customers switch touch points for even a single transaction. Organizations need solutions offering an omnichannel strategy with a high-performance connection and seamless user experience. Alibaba Cloud multi-channel CMS (Content Management System) application empowers companies to manage content for different channels effectively. 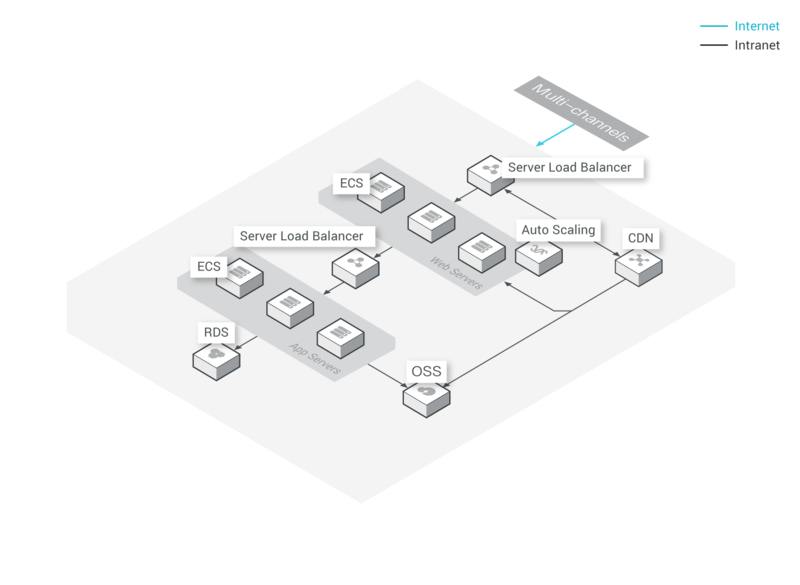 Users may deploy the CMS backend system on a single or multiple ECS instances, depending on the number of internal users involved during content contribution and distribution cycle. The backend database installed on ApsaraDB for RDS is by default on a hot/standby mode to avoid disruption to CMS operations caused by database failure. Content contributors can also save rich media files such as images or videos on OSS instead of traditional disks during content editing for reduced storage costs.